One of the central principles of Islam is helping others. While some perceive Islam as a faith that encourages violence rather than positive contributions to society, the Qur’an and especially the hadith highlight how helping another human being is a fundamental aspect of Islam. Muslims’ primary goal is to worship God, but this is done not only through rituals like prayer and fasting but also through treatment of other people. Whosoever removes a worldly grief from a believer, Allah will remove from him one of the griefs of the Day of Judgment. Whosoever alleviates [the lot of] a needy person, Allah will alleviate [his lot] in this world and the next. Whosoever shields a Muslim, Allah will shield him in this world and the next. Allah will aid a slave [of His] so long as the slave aids his brother. Whosoever follows a path to seek knowledge therein, Allah will make easy for him a path to Paradise. No people gather together in one of the houses of Allah, reciting the Book of Allah and studying it among themselves, but tranquility and peace descends upon them, mercy envelopes them, the angels surround them, and Allah makes mention of them amongst those who are with Him. And whosoever is slowed down by his actions will not be hastened forward by his lineage. It is clear from this that helping others is connected to a believer’s worship of God. In other words, the hadith connects responsibility to people to other acts of worship like reading Qur’an with other Muslims and seeking knowledge. Moreover, there is a clear reward for a person who aids another, both in this world and in the next. This is important for Muslims, as I mentioned in an earlier post, because they believe that each person will face God on the Day of Judgment and be asked about all their deeds. It is clear from the above hadith that helping others is not optional but a religious duty. Messages like this one are often not highlighted. However, this idea is articulated in numerous hadith and Qur’anic verses. Moreover, the Prophet Muhammad is considered by Muslims to be the highest example and he would very often help others, even if it meant that he had to sacrifice something. So by his example also, Islam is a faith that makes helping others and society a core principle. Have you read this hadith? What are other examples of hadith that emphasize helping others? 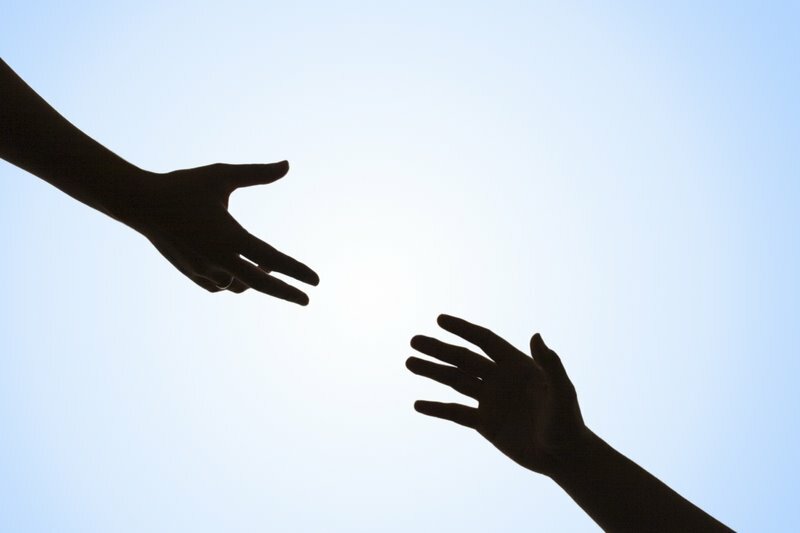 What do other faith traditions say about helping other people? Do you think this idea can lead to interfaith work? Please share your comments below. This entry was posted in Beliefs and Practices, Prophet Muhammad and tagged #SSRCWCG, Hadith, Helping others, Prophet Muhammad, Quran by Reem. Bookmark the permalink.